1) What are your thoughts on Game 1? Robert: My thoughts on Game 1 are simple. First off, it was about what I expected, they came out with rested legs and always amped up home crowd. They are the healthiest team of any remaining team and it was obvious. Marico: Overall, I thought we played a decent game because we were within striking distance most of the game. Every time it looked like we were on the verge of getting within 8-10 points we would allow GSW to come down and hit a three or get out on a fast break and get them going on a streak. I thought Tony Allen did a great job on defense. Z-Bo was very efficient on offense but in the beginning he let Dremond Green get to many open 3’s. I think Lee got away from what made him successful in the Portland series and it is that mid-range jumper. Teresa: Mistakes aside, I saw a team that wanted to fight. Until the last few moments, I saw a team that stayed engaged. They showed some grit in the Oracle Arena, and that gives me hope for the series. Katee: Looking at it from a fan’s perspective, I will be honest and say I felt very defeated after game one. I was also disappointed after reading that the lights and even the buzzer were bothering Mike Conley during the game. Obviously I want him to be healthy; so I don’t want him to play until it’s safe for him to do so, but it’s still disappointing. D’Angelo: The Warriors have shown us why they are the number 1 seed in the Western Conference. They are so versatile with how they play. They can match styles for any team they may face in playoffs. 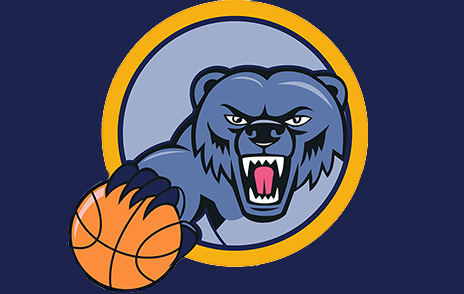 The Grizzlies just aren’t the same team without Conley and it’s unsure if we will be getting the version of Conley we were accustomed to seeing prior to his injury. Tristy: It went how I expected, though the Warriors didn’t hit what I believe to be their highest mark as a team, thanks in part to a still-good Memphis Grizzlies defense. There just isn’t much Memphis can do with Conley as an offensive team, whether it be his shooting, scoring, or probing that they miss. 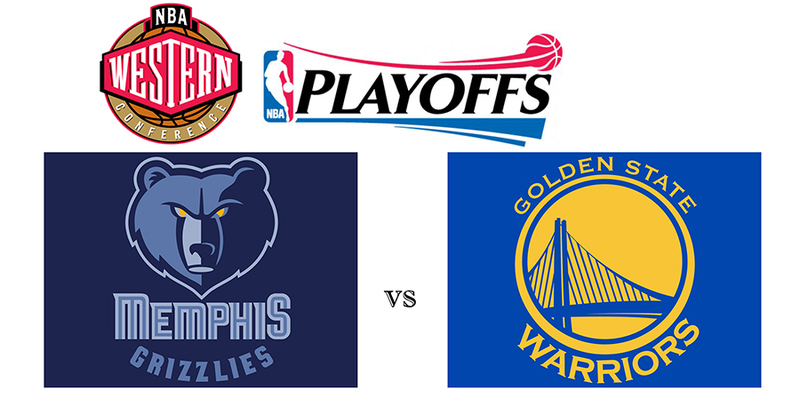 2) What adjustments do the Grizzlies need to make for Game 2? Robert: The adjustments I think that need to be made is defending the perimeter better. They got far too many easy baskets. The Grizzlies have to find a way to slow down the tempo. Jeff Green is key to this on the defensive end; but, he also needs to bring more on the offensive end. We got quality play from our bigs, but that was basically it. Also, I would start Beno over Calathes as I believe even a banged up Udrih is more of a floor leader. Marico: We need to do a better job defensively of guarding the 3 point line because GSW hit far more 3’s than Memphis. Jeff Green has to take better shots to get his offense going. C. Lee needs to continue to take that mid-range jumper and we must get more rebounds. TA and Calathes need to practice layups the entire practice. I say run all the guards at Curry and Thompson since Calathes and Beno can’t run after Curry and score as well because that is a tough assignment. Teresa: The mistakes I noticed were sloppy passing and missed shots. And these were shots that aren’t normally missed. The passing across the middle of the paint to get the ball to the guy under the hoop in the middle of a bunch of white jerseys cannot continue. I am confident they can adjust and tighten up what is necessary for game 2. Katee: The Grizzlies were not very successful at slowing the Warriors down game 1. The Warriors controlled the pace for the majority of the game. They will not be able to stay 2-4 steps behind the Warriors like they did in Game 1. They cannot afford to play catch up the entire game. It will drain their energy and kill their morale. The Grizzlies need to come out strong in Game 2 and improve all around. We definitely have to play better defense and our offense has to be much more consistent. The only way the Grizzlies are going to have a fighting chance in this series is by taking advantage of every opportunity the Warriors give them. I think we had opportunities to get back in the first game. The Warriors offense had cooled down and they had struggled with some turnovers, but unfortunately the Grizzlies weren’t able to capitalize on it. If Calathes is going to continue to be used in the capacity he was in Game 1, he will have to be better at communicating with our guys. I’ve noticed there is a lot more communication on the floor when Beno or Mike are running the offense. It will take all players listening to each other and playing as team. While Beno wasn’t great on offense either, I think he should get the start over Calathes. A cold offense and trying to play catch up from the beginning is not something the Grizzlies can afford to do in Game 2. I realize Beno has been injured but I feel confident that he can handle starting game 2. D’Angelo: Play the rooks! It’s as simple as that. It’s unclear to me why it’s a good idea to stick with the unproductive guys over the unproven guys. At worse they will gain valuable experience and confidence from getting meaningful NBA minutes. At best, they’ll actually help you win a game or two. Tristy: Whatever Joerger does, he has to avoid having Tony Allen and Nick Calathes on the floor at the same time — while that’s a formidable duo defensively against Stephen Curry and Klay Thompson, it’s the exact opposite on offense: no offense, so-so ball movement, no floor spacing. 3) Should Joerger play Jordan Adams and Russ Smith? Why or why not? Robert: I realize I may be in the minority on this but I am of the opinion that you stick with what brought you. You just don’t throw non playoff experienced rookies in major minutes as a quick fix. As fans, I think sometimes we have dreams of delusion that the back-up or bench guy is the cure to all. To use a popular football analogy, the back-up QB is always the most popular guy in the room when a team loses. I still opt for experience over youth in the playoffs, although I still think the current lineup adjustments are warranted. Marico: Yes, I believe coach should play Adams and Smith for short spurts to try them out and see if they can contribute. I realize they are rookies, but we are playing against two guards that can easily put up 40 in a game with no problem. I believe we should play really tough defense and make them work harder. We need to make getting baskets tougher and just basically run 4 guards (rotating) at them the whole game. We may be able to wear them down and cause them to be tired from running around trying to get open. If Adams and Smith don’t work out, we wouldn’t lose any momentum because they will only play for short stints. Teresa: Why not? They put up a fine performance in the last match up of the regular season. Even if the playoffs are different from the regular season, at least give them a chance. Jordan Adams scored our only three points late in the game. They are young guys, and I’m sure they are eager to put up a fight. It would at least be more interesting than watching unsuccessful passing under the hoop. Katee: If it’s clear that someone else isn’t getting it done, it wouldn’t hurt to give them a few minutes and see if they can handle it. Speaking specifically on Russ Smith, the team isn’t familiar with him being out there much, so that could be an issue. But with a series like this, if Mike Conley isn’t going to be able to perform in the capacity that we need him to, we might as well see if there’s any other match ups that could shake up the Warriors plans. D’Angelo: He should because I don’t see a reason why not. Ok, maybe they’ll make a mistake or two but the guys that is in the rotation are also making mistakes. So does Coach Dave Joerger prefer Vet mistakes over Rookie mistakes? That sounds silly to suggest but I don’t know any other reason why he wouldn’t roll the dice on the young guys at this point. Tristy: No. Joerger has made one thing clear this season: if the Grizzlies are to lose (or win) it’ll be done on the shoulders of his veteran players. I don’t knock him for this either. I can’t imagine either of Adams/Smith having a big impact on this particular series.